Make any meal more interesting with the chic look of the Hydra Glass Round Dining Table. This table is sleek, modern, and will instantly enhance any dining area. This fabulous table is an ideal choice for any space seeking that extra touch of glamour, which the Hydra Glass Round Dining Table will effortlessly provide. 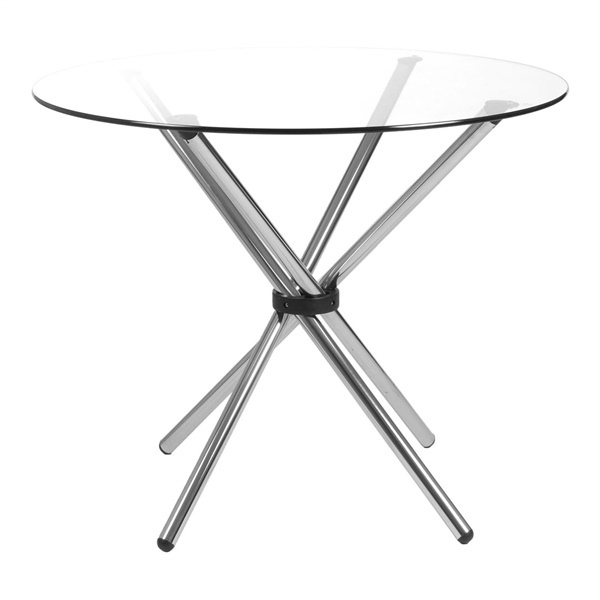 The Hydra Glass Round Dining Table features a base made of tubular steel. Its base is perfectly paired with a 3/8� glass top with a pencil edge polish. The Hydra Glass Round Dining Table is available with a clear glass top in the size of your choice.